and surrounding atolls for some of the best SCUBA diving in the world! We work with very professional dive operators to offer the best and safest service with the newest equipment and experienced divemasters. 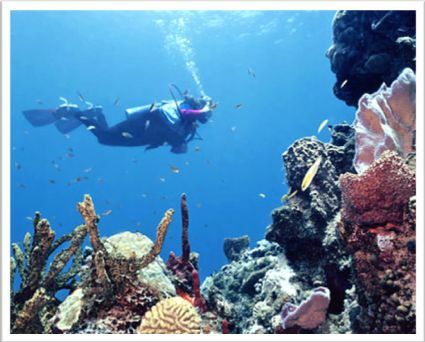 Go Sea Dive Shop is a PADI certified scuba diving shop in Placencia and they offer a variety of dive trips and diving lessons. From the most experienced diver to the novice, the beautiful Caribbean Sea just off the coast of Belize offers amazing diving and great adventures for everyone. Home to the largest living barrier reef in the world, Belize offers world class diving at your doorstep. Go Sea is staffed with a professional crew of dive masters, boat captains, and office staff. Feel free to contact Go Sea directly for more information about their dive packages or make your arrangements through the front desk or reservations desk at Los Porticos Villas.